Larry Norman passed away in 2008, but his music and lyrics are still powerful and relevant in today's world. The Rebel Poets play the songs of Larry Norman, tell stories about him, and Larry's brother Charles leads a Q&A session where audience members can ask questions about the late father of Christian rock. This is more than just a concert. It's a celebration of the life and work of Larry Norman by his friends and family, who are happy to be on stage with his music once again after all these years. CHARLES NORMAN toured and performed around the world with his older brother Larry for over 20 years. He put together this band after being invited to play at a tribute concert in the Netherlands and had such a good time revisiting his brother's music and memory that he decided to bring it to a wider audience. 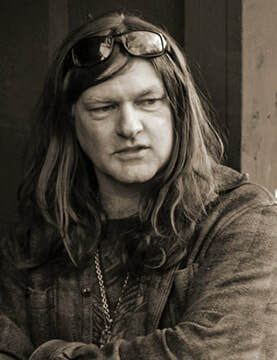 In addition to his work on stage and in the studio with Larry, Charles has worked and performed with a variety of artists including Guns n' Roses, Frank Black (Pixies), The Dandy Warhols, Lemmy (Motorhead), Kiefer Sutherland, Isaac Brock (Modest Mouse), Arthur Kane (The New York Dolls), and many more. He currently lives in Oslo, Norway with his wife and 8 year old son. He plays guitar and sings in The Rebel Poets. Here's a clip of him playing guitar with Larry, and another of him with Indie Rock legend Frank Black. 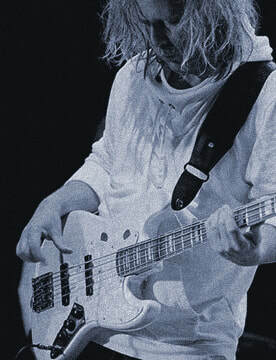 ANDERS MOSSBERG played bass in Larry Norman's band for several tours in the '80s and '90s and became a good friend of the Norman family. 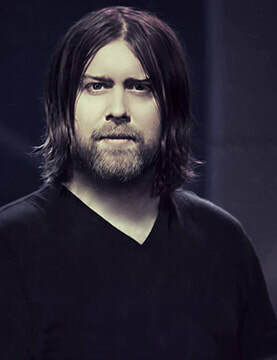 He has played and toured with an amazing array of Scandinavian and international artists such as Andrae Crouch, Jessy Dixon, Jerusalem, Jan Groth, Björn Eidsvåg, Hanne Krogh, Carola, Per-Erik Hallin, and the Oslo Gospel Choir, just to name a few. He has also worked with Alex Acuna (Frank Sinatra, Paul McCartney, U2 etc. ), Bruce Swedien (Quincy Jones, Michael Jackson) and has appeared on more than 250 records during his career. ​Anders has a home in Sweden, but spends most of his time living out of a suitcase and jumping from hotel to hotel while on tour. Here's a video of Anders playing bass with Andrae Crouch while wearing a NIKE T-shirt. Just do it! JONAS GROTH got his inevitable start in the entertainment world while growing up in a home full of music, much of it by his father the renowned composer and musician Jan Groth. His ability with vocal arranging and multiple instruments has led to a wide range of experiences, from performing at small church gatherings to traveling the world playing to thousands as a member of the rock band Apoptygma Berzerk. He has made a career of being on stage, most recently in the title role of Jesus Christ Superstar in a Norwegian production of the play. 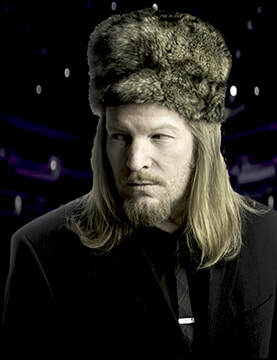 ​Jonas has been a close friend of the Norman family for years, so he was an obvious pick for the band. He plays keyboards, guitar, and sings in The Rebel Poets. Here's a fantastic clip of him singing Larry's song Lonely By Myself. URBAN STROEM first met Larry Norman when he was 19 years old, and they remained friends for over 20 years until Larry's death in 2008. Urban frequently stayed with Larry and Charles at their home in Los Angeles and has fond memories of his time there. 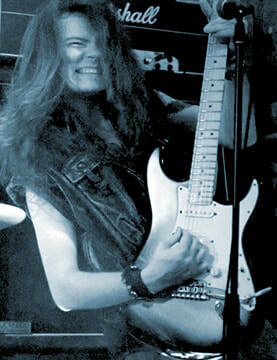 In addition to playing drums with The Rebel Poets, Urban plays with several bands in his hometown of Göteborg, Sweden. TRIVIA - Urban is a master carpenter and has built many Michelin starred restaurants and Hard Rock Cafes all over Europe. So, if you have any questions about molecular gastronomy or how to use a table saw, he's the guy to ask! Here are just a few of the Larry Norman songs that The Rebel Poets perform: The Great American Novel • Why Should the Devil Have All the Good Music • I Wish We'd All Been Ready • I've Got to Learn to Live Without You • The Outlaw • Messiah • I Am a Servant • 666 • Why Don't You Look Into Jesus • UFO • Soul Survivor • The Rock That Doesn't Roll • ​Sweet Song of Salvation AND MANY MORE.